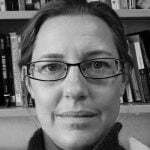 Patricia G. Lange is an Assistant Professor of Critical Studies at California College of the Arts (CCA). Recognized as an expert on anthropological approaches to new media and the study of YouTube, her work focuses on technical identity performance and use of vernacular video to express the self. Her current research focuses on how videos may be used to promote civic engagement. In particular, she is using a discourse analysis approach to examine how video makers discuss and debate the technical and social affordances and limitations encountered on video-sharing platforms. She recently released her ethnographic film, Hey Watch This! Sharing the Self Through Media (2013), which was accepted for screening in Paris at Ethnografilm, an international film festival showcasing ethnographic and academic films. Hey Watch This! provides a unique diachronic look at the rise and fall of YouTube as a social media site, and offers a poignant look at how YouTubers envision their digital legacies after their deaths. Her new book is called Kids on YouTube: Technical Identities and Digital Literacies (2014). Drawing on a two-year, deeply engaged ethnographic project, the book discusses how kids negotiate technical identities on YouTube, and how their goal to achieve technical competencies both encourages and complicates access to participation in new media environments. At CCA, she teaches courses in anthropology of technology; digital cultures; new media and civic engagement; space, place and time; and ethnography for design. Prior to joining CCA, she was a postdoctoral fellow at the School of Cinematic Arts at the University of Southern California. More information may be found on her websites: https://www.cca.edu/academics/faculty/plange orpatriciaglange.org.